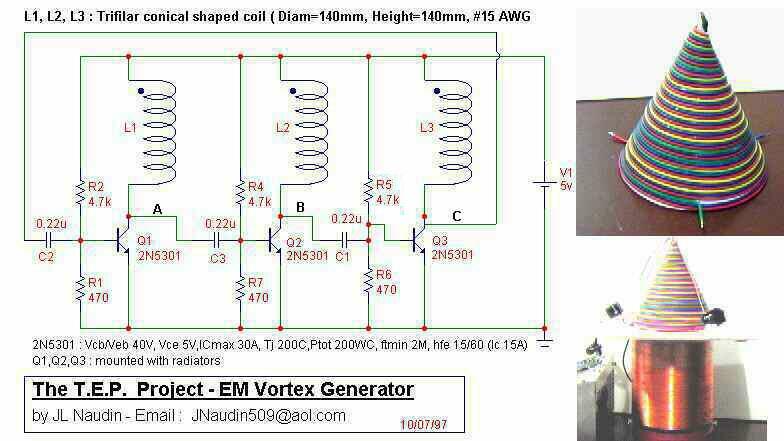 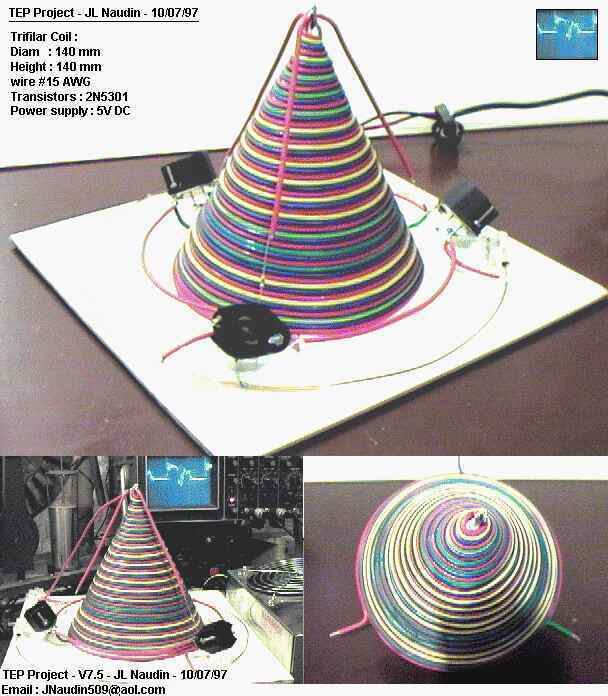 Notes : This experimental device generate an EM vortex bellow the Trifilar Conical shaped coil, if you put a big collector coil, you will be able to collect very strong EM waves induced by this EM Vortex generator. 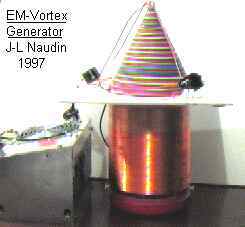 You will notice that above the conical coil the EM generated is very weak comparing to the EM generated bellow. 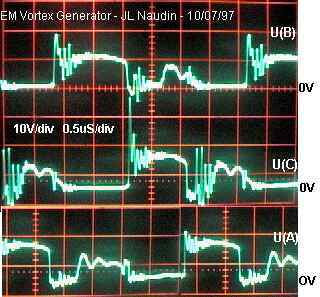 Today, the strange properties of this EM Vortex generator are not fully explored, more tests and experiments must be conducted soon.